Computers & Control was founded in 1990 and deals with the construction and production of various devices for electrical power engineering. 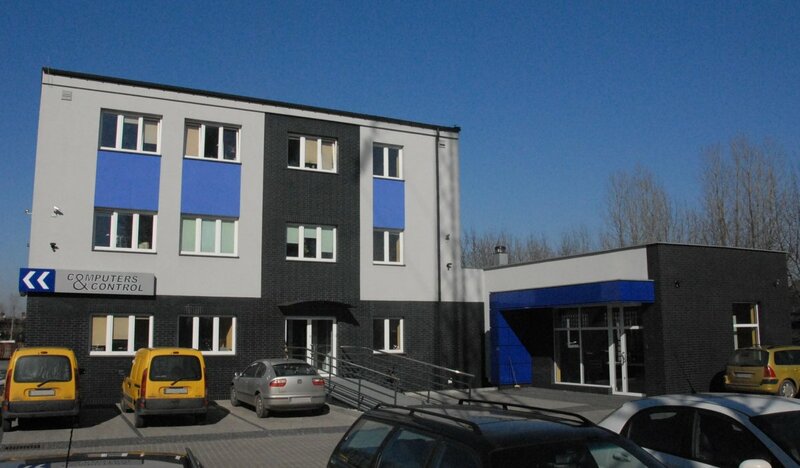 The company headquarters are located in Katowice, Poland. Switching stations control, fields protection and control of OLTC power transformers are the main areas for application of our devices. The latest serially produced UTX protection relays 3 series family can protect all kinds of high and medium voltage fields in the range of impedance (distance protection relay), residual current (comparator and phase currents modules) and earth fault (depending on phase, amplitude and admittance). Within the UTX line there are available distance (impedance), differential (current and phase difference), earth short-circuit (phase and amplitude dependences) and admittance protection devices. Our voltage regulators for power transformers UTXvRNT and UTXvRNTQ control the operating of transformer-line systems, keeping the given voltages in definite limits and minimizing reactive power. Our state-of-the-art faults and events recorder system ARCHI 9000/900 allows the permanent surveillance of energy facilities. Its centralized data collection system, working in a wide area network allows the construction of a global fault recording system covering interferences in vast territories, even in a whole country. The Xserver series concentrators with its extensive functionality, data buffering and telecommunication functions control local networks containing all devices in a power station.